This week God Country and Redneck creator Donny Cates unleashes Babyteeth, and Gwar gets into the comic game with Gwar: Orgasmageddon! 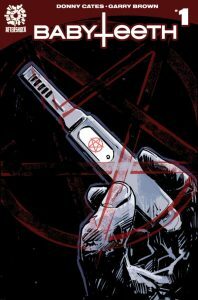 Aftershock Comics has been making quite the name for themselves lately. While they don’t have the volume of titles like Image or Dark Horse, they’ve been acquiring the kind of talent that definitely makes you stop and take notice. Their latest series, Babyteeth, is no exception. 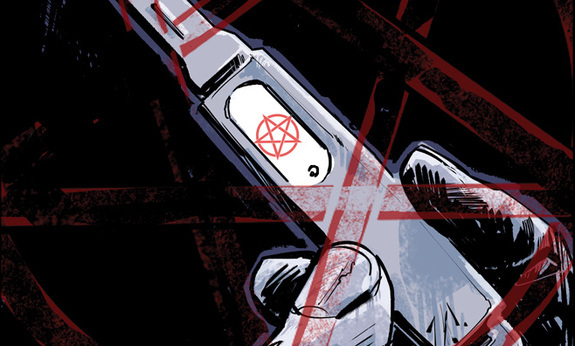 Co-created by God Country and Redneck writer Donny Cates, Babyteeth is a surprisingly sweet take on the old “girl gives birth to the Antichrist” story that we’ve seen plenty of times before in horror movies. Sadie Ritter is a sixteen year old girl who’s about to go into labor. Funny thing is though, with each contraction, the ground shakes underneath her. Instead of her water breaking, she’s bleeding. Once she makes it to the hospital, she blacks out and finds herself in a white, quiet space. She comes to once the baby is born, and even though it has pale skin and jet black eyes, Sadie doesn’t mind, it’s her child, and she loves him. And she’ll do anything to protect him. It’s this take on the Antichrist story that makes Babyteeth so unique. Instead of being afraid of her child, Sadie loves him unconditionally. Donny Cates’ script makes you feel for Sadie and fully understand the love she has for her son (who she names “Clark” in a funny nod to Superman). Cates’ gift for characterization is on full display here, creating a character that is just as fully realized as the ones in his other books God Country and Redneck. Sadie’s a character that you immediately want to spend more time with as soon as you finish the book. Garry Brown’s art is a little looser than I prefer, but he’s able to express the right human emotions on the characters to make this book work. Sadie’s love practically beams off her face with Brown’s pencils, and he even makes baby Clark look kind of cute in a demonic baby sort of way. While he could work on his details in his art, so far Brown’s a good companion to Cates’ script. Babyteeth’s subject matter isn’t going to be for everyone, but it is a pretty cool and refreshing take on a well-worn horror trope. Cates leaves us on a very intriguing cliffhanger, and while I do wish this issue was just a little bit longer, I can’t wait to see what else he’s got up his sleeve. Mark this as another win for the newest hit writer on the block. For being such a theatrical band, it’s kind of weird that it’s taken this long for Gwar to star in a comic book. The over the top antics of their live show, coupled with their strange “back story”, would make Gwar the perfect comic book. Or at least, it should. 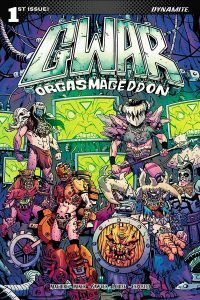 While I’m not the target audience for the new Gwar: Orgasmageddon comic series from Dynamite, I really don’t think even Gwar fans would find a lot to like in it either. Much of this comes from Matt Maguire and Matt Miner’s script, which feels like two different plots crammed into one. After a quick origin story of the band, they’re attacked at a gig by one of their alien enemies. But then when they go after him in their ship, they’re suddenly rocketed to different points in time. While it’s amusing to see the members of Gwar interacting with Revolutionary War soldiers and Japanese Samurai, the distinct lack of an ongoing thread for a narrative causes the book to really suffer. At least Jonathan Brandon Sawyer’s art is a good fit for the book. Sawyer’s art is pretty much exactly what you would expect for a comic book starring Gwar, and his loose, gross out style is the perfect kind needed for this book. 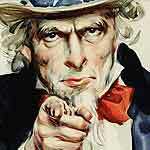 Sawyer’s art could even be used to pitch a Gwar TV show to Adult Swim or FX, it’s that much of a good fit. It’s really hard to make a comic absurd and still make it entertaining. Make it too weird and out there, and people won’t want to follow it, but if you don’t go all the way out there with the absurdity, then the book isn’t funny. Unfortunately Gwar: Orgasmageddon struggles with that balance. While Gwar die hards will probably find a lot to love with this book, there’s simply not enough here for casual Gwar fans to get into. Perhaps they were better off staying on stage. Cape Crisis #67 - Henry Rebirth!